The Harvard Square Business Association is proud to participate in the 3rd Annual National Food Day, with not one, but two exciting events: healthy and sustainable menu items in select Harvard Square eateries and a free tasting event! The free tasting event begins at 5:30pm. Please join us on Brattle Plaza (In front of Crema Café – 27 Brattle Street) for this delicious event that will last as long as the food does! Representatives from the restaurants listed below will be on hand distributing tasty tidbits from their sustainable and creative Food Day menus. Be sure to get there early – with restaurants like these, food will go quickly! 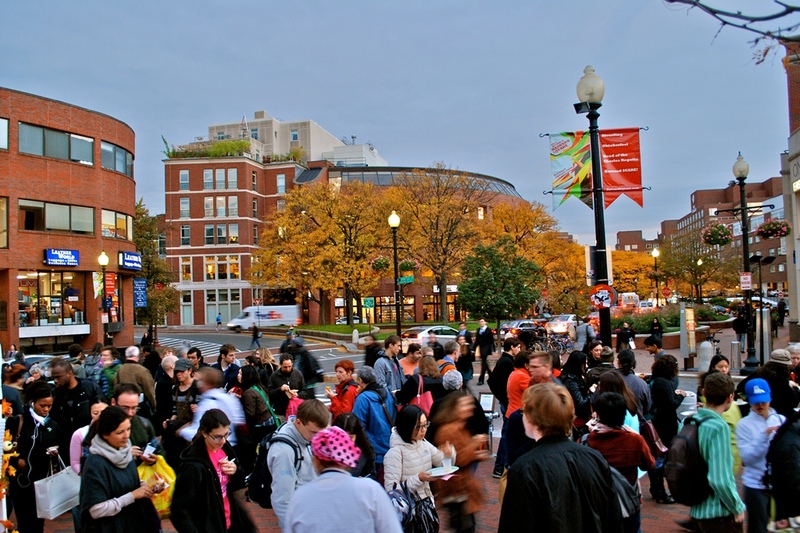 The Harvard Square Business Association is delighted to participate in Food Day, a celebration of and moving toward more healthy, affordable and sustainable food. Referred to as “Earth Day for food”, Food Day strengthens the connection between consumers and local producers, while advocating for policies that support productive and respectful food systems. Last year, Massachusetts led the country with the number of activities organized. This year, The Commonwealth is on track to host 700 activities to support this movement.